Will the 'Sikh issue' impact relations? While the Canadian Prime Minister Justin Trudeau kick-started his official visit to India yesterday, in a hope to strengthen existing ties between the two countries; it is yet to unfold if the underlying tensions between India and Canada will hinder possible pacts. Canada houses approximately 1.4 million people who can trace their roots to India, and over the years, have enjoyed a considerable economic and political success there. India is the second largest source of immigrants to Canada and also a significant source of international students enrolling in Canadian universities, with the number of Indian students studying in Canada tripling in the last three years to 124,000 last year. However, trade between the two nations amounts to only about more than EUR 6.4 billion dollar every year, which the Canadian Prime Minister Justin Trudeau hopes to improve with his official visit to India that started yesterday. 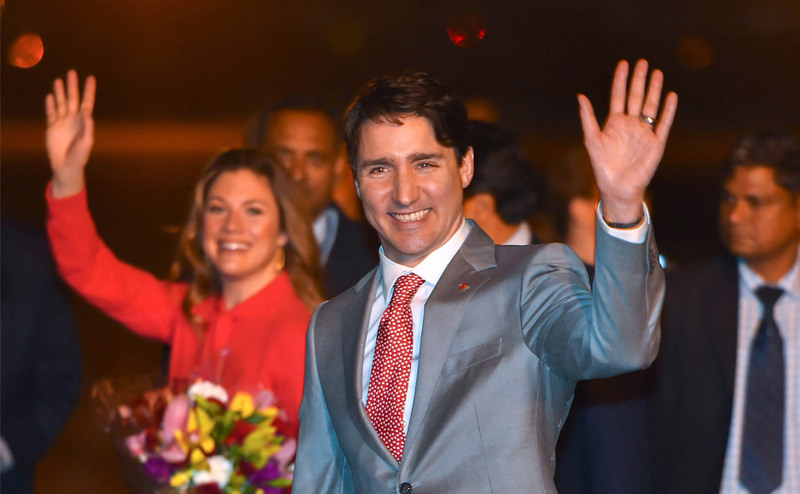 Trudeau’s seven-day India mission mixes global business with local politics, with meetings lined up with business leaders on wide-ranging issues including defence, counter-terror cooperations, round tables on education, and human rights. After a 50 pc import duty on yellow peas in November, Canada imposed a duty of 30 pc on chickpeas and lentils on Indian imports in December 2017, which was raised to 40 pc on February 6 this year. This resulted in Indian government citing falling international market prices, and a negative impact on Indian producers and domestic Indian prices of cheap imports. Beans and lentils account for nearly one-third of Canada’s current exports to India. But while Canada hopes to grow that trade further, will India be willing? Furthermore, Canadian agriculture minister Lawrence MacAulay did not accompany Trudeau to India, leaving Trudeau owing an explain on what he plans to do to fight these duties, given that India is an important export market for Canadian pulse producers. However, apart from agriculture, another potential for growth lies in India’s plan of modernisation. The Indian government’s Smart Cities program, and its target to deliver clean water to every village in India by 2022, has unlocked opportunities for Canadian technology companies, engineering and architectural services. Further, with major cities like Mumbai and New Delhi struggling with high levels of air pollution, India is forced to address its environmental problems, which brings renewable energy and nuclear power, into the picture. As India aims to produce 125 Gigawatts of electricity from renewable sources, as a strong player in renewable resources, supplier of uranium, and a country that has done nuclear business with India in the past, Canada is well-positioned to provide the fuel. Trudeau’s visit not only eyes global business relationships but also benefits for local political environment. Sikh religious organisations in Canada recently banned Sikh officials from entering gurdwaras (Sikh place of worship), keeping in mind the interference of Indian government officials in the lives of Canadian Sikhs. The development came as a setback for the Indian High Commission in Canada who has been making attempts to improve ties with Sikh diaspora in Canada, which had been affected since Operation Blue Star (when the Indian army attacked the Golden Temple in Amritsar to flash out the terrorists) in 1984. Since Sikh groups in Canada openly support a separate Sikh nation – Khalistan, the issue has created a fear of Sikh separatist extremism amongst Indian politicians. Adding to the fire, in April last year, Trudeau addressed a parade for ‘Khalsa Day’ in Toronto, where Sikh militants were glorified. The move invited an immediate disapproval from the Indian side. Punjab Chief Minister Amarinder Singh accused ministers of Punjabi origin in the Trudeau government of links to radical elements demanding a separate Sikh state of Khalistan, and made it clear that he would not meet any ‘Khalistani’ sympathisers. However, the Canadian members of parliament accompanying Trudeau insist that there is no reason for India to feel apprehensive and want India-Canada ties to go forward – with a focus on economic cooperation. While Trudeau’s administration is trying to get rid of the hindrances for better alliances, there is a resistance from Singh to hold talks. However, it is yet to unfold how and under which areas, the countries form association.